An encyclopedia of edible fruits of the world. Other names: Nde, Mbele, white mahagony. 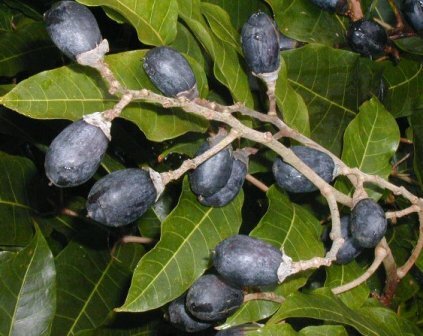 African canarium is a wild growing tree which produces fruit similar to olive. It is widely distributed in East, Central, and West Africa. It has also been introduced in Indonesia. The trees grow wild in forests and common lands. Local people gather the fruits which have a ready market. African canarium therefore helps these people to supplement their income. 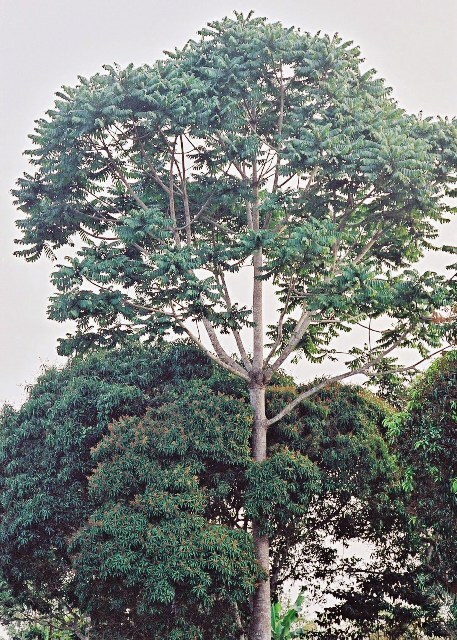 An enormous deciduous tree, upto 50 m high, branching beginning at 7 m or more, giving the tree the appearance of a flagpole; bark whitish/gray with creases and rough ridges and it surrounds a trunk that can grow to 2m in diameter. Leaves pinnately compound, leaflets 30cm x 10cm. Flowers, small and white, no larger than a centimeter and are produced during the dry season when the tree is leafless. Fruit is about the size of an olive and resembles one when eaten; a thin dark bluish skin surrounds a 3 mm layer of flesh that is the edible portion. Seed hard, five-sided, 2 cm long and 1 cm wide, kernel edible and often eaten. The fruit is edible. The green oily pulp constitutes the edible portion. This can be eaten raw. But sometimes it softened with warm water which improves palatability. The oil contained in the pulp is about 71 % palmitic acid and 18 % oleic acid. The seed-kernels are also oily and edible. They are cooked, and in Nigeria, sometimes prepared into a vegetable-butter and eaten as a substitute for shea-butter. They contain several fatty acids including oleic (36 %), linoleic (28 %), palmitic (26 %), stearic (7 %). This tree makes a good fuel wood, igniting readily and burning with a lot of heat. The resin burns readily. The bark exudes a heavy, sticky oleoresin that smells like turpentine and solidifies to a whitish resin. It is obtained by slashing the bark and allowing the colourless expiation to trickle to the ground where it solidifies into a sulphur-yellow opaque resin. The resin is used as primitive illuminant. 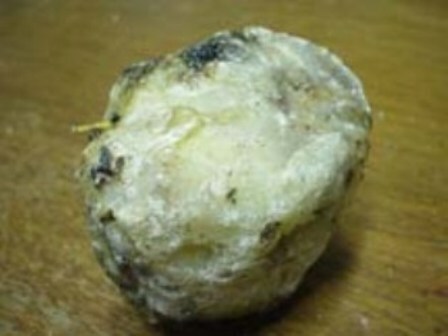 It is also used as incense and releases a pleasant lavender-like smell. African canarium is a very hardy tree. It can is withstand 5-6 months of dry season. It, however, takes several years to come into bearing and must be at least 15-20m tall before it starts to flower. This tree is being largely planted in the afforestation programmes in Uganda and certain other countries in Africa. Propagation is by seed which has a very hard coat. This hard seed coat should be cracked slightly with a hammer. The seeds should be immersed in hot water and allowed to cool then soaked for 24 hours before sowing. The trees should be planted atleast 10 metres apart. The young plants should receive adequate moisture to avoid stress. A good clay soil that is high in organic matter suits more for this tree. 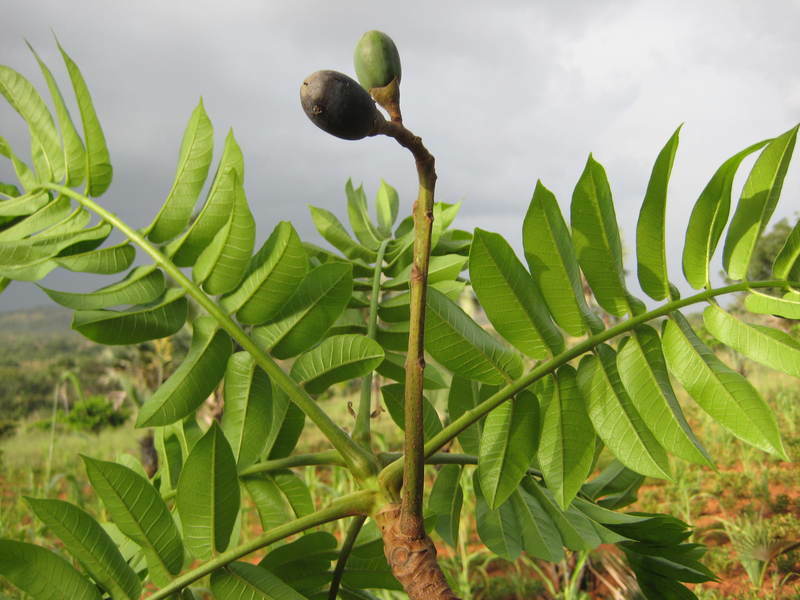 Intercropping can be done in the plantations of African canarium trees. © 2018 Fruitipedia. All rights reserved.